It is interesting to learn more about teacher salaries, cost of living expenses, savings expectations, entertainment options, and the availability of Western brands/foods in various Middle Eastern countries. It is especially interesting if you are considering teaching in any number of these countries: Saudi Arabia, Kuwait, Bahrain, Oman, UAE, and Qatar which just so happen to be the countries that we recruit teachers for. How much you can expect to save – no local taxes; cheap fuel (heat, air conditioning, and taxi service), hired labor (housekeeper, cook, maintenance worker, etc. ); accommodations and health care usually included in teacher benefits package along with limited entertainment options allows you to save a lot of money (about half of your monthly teaching salary). Entertainment options – movie theaters prohibited; excellent cable TV services $65/ premier channels – $108/ all channels; coastal cities have ample outdoor activities; the Kingdom does not lend itself to tourism so entertainment options are limited (great for saving $$). Western brands/foods available – alcohol is prohibited; local grown vegetables and fruits are cheap, about half of Western prices; Western imported foods cost a little more than prices in the US and Canada; e.g. Starbucks Frappuccino bottles cost $3; 20 kgs box of tomatoes $7; tons of restaurants, ice cream parlors, and coffee shops; all favorite Western franchises available in the major cities: Starbucks, Pizza Hut, Johnny Rocket, Cheesecake Factory, etc. Teaching salaries – The salary range is about $1,800-3,700 per month, tax-free, which typically includes paid housing, healthcare, and annual flights home after the school year. More experienced and qualified teachers are typically offered leadership positions as a department or faculty head for added pay. Markets: Local markets offer spices, hand-crafted clothing, and artwork along with fresh produce and meat. You can find anything you want at the shopping centers. Entertainment options – There are many Western groups to join for social and leisure clubs: golfing, scuba diving, horse riding, shisha, wine-lovers, pet lovers, gardening, music, soccer/football, etc. 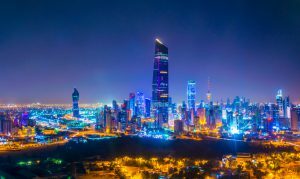 Kuwait boasts a lively fashion and shopping district, as well as ‘club-like’ establishments, mostly in the form of private parties. Expect to pay about $50.00/month for a fitness club membership, $20.00/hour for tennis court rental, and $3.50 to see a movie. Western brands/foods available – alcohol is prohibited; there are numerous fashion and shopping districts along with various restaurants and cinemas. Night aerial view of the downtown Kuwait dominated by the liberation tower. Teaching salaries – excellent salary package of $2,900+/month is tax-free and includes accommodations, flight allowance, and health insurance. In addition to a salary, contract workers are awarded an ‘indemnity’ at the end of the contract period; it is bonus of 15-20 days of basic pay per year of employment for the first three years and then a month’s salary per year of employment after that. With the great demand to learn English, teachers can find lucrative tutoring jobs in the evening in addition to their daytime teaching jobs. Cost of living expenses – The cost of living is not high as other neighboring countries and there is no sales tax. How much you can expect to save – Many English teachers report saving around $2,000-2,500 easily every month. Entertainment options – The country is more relaxed and socially liberal than most of the other neighboring countries in the Middle East. Bahrain has a tropical desert climate, resulting in hot, sunny days for most of the year. 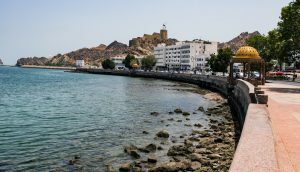 This climate and location in the Arabian Gulf and water activities are popular, including sailing to many of the smaller islands surrounding the mainland. Luxury hotels, shopping malls, and bars dot the islands. 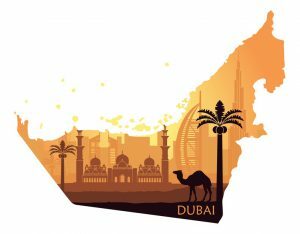 It is also relatively cheap to fly to other Middle Eastern countries for travel (Riyadh, Saudi Arabia for £135/$215 return; or to Dubai in the UAE for just £78/$125). The price of gas is cheap. Many foreigners choose to rent a car on a monthly basis; the road system is easy to navigate and quite efficient as the mainland is only 15km long and 18km wide. Western brands/foods available – There are a variety of food selections from Western fast food to high-end restaurants to street stalls as well as a number of shopping malls and movie theaters. Food in general is very reasonable, with a carton of eggs around £1/$1.50. A beer costs $5.30 and a bottle of wine $25. Teaching salaries – Teachers in Oman usually make between $2,000-3,500 per month, tax-free. Typically, teaching jobs include furnished accommodations, airfare, medical insurance, paid vacation time, and allowances for tuition and transportation for dependents. Most teaching jobs in Oman have a contract duration of 2 years. Workers are awarded an ‘indemnity’ at the end of the contract period, usually an amount to 15 (in some cases 20) days of pay per year of employment for the first three years, and a month’s salary per year of employment after that. How much you can expect to save – Teacher salaries are twice the cost of living so you can save a great deal of money. Also, the cost of living in comparison with neighboring countries is lower. Teachers can live on half of their teaching wages and save the remainder. Entertainment options – All the major hotels in larger cities have live bands (jazz, African soukous, the blues and pop) and full range restaurants. Trips to the beach and desert camping are fun things to do. There is a full international range of restaurants, supermarkets, and shopping malls that boasts endless choices. Western brands/foods available – You will be able to find Western products in supermarkets, however they come at a hefty price. The same rule goes for Western clothing brands and electronic goods. Considering it is a Muslim country, alcohol and pork are limited and costly. You will need a license to buy alcohol from licensed shops, hotels, nightclubs, and bars as well as the airport; its price will depend on how much you intend to buy per month. Teaching Salaries – You can expect to earn between $2,300 – 5,500+ USD per month, tax-free, as a teacher in the UAE. In addition, teachers often get additional benefits, like insurance, flights, and housing (and a furniture allowance if the apartment is not furnished). The size of the apartment depends on whether the teacher is arriving single or has a family. After one year of teaching, it is common to receive a bonus of one month’s salary. There are added monetary allowances for teaching in more remote areas. Cost of Living Expenses – Commuting costs are relatively low. Car leases and secondhand cars are affordable, although traffic is heavy. Taxis are used frequently and are not expensive. Other expenses include utilities ($320/month for a 2-bedrooom apartment), groceries ($320-400 per month for a family), and Internet ($60-80/monthly). Markets: Traditional markets and bazaars offer bargains (bartering is common) and ample varieties of clothing, produce, and spices. How much can you save – Depending on your lifestyle, teachers can expect to save between 60-70% of their monthly salary. 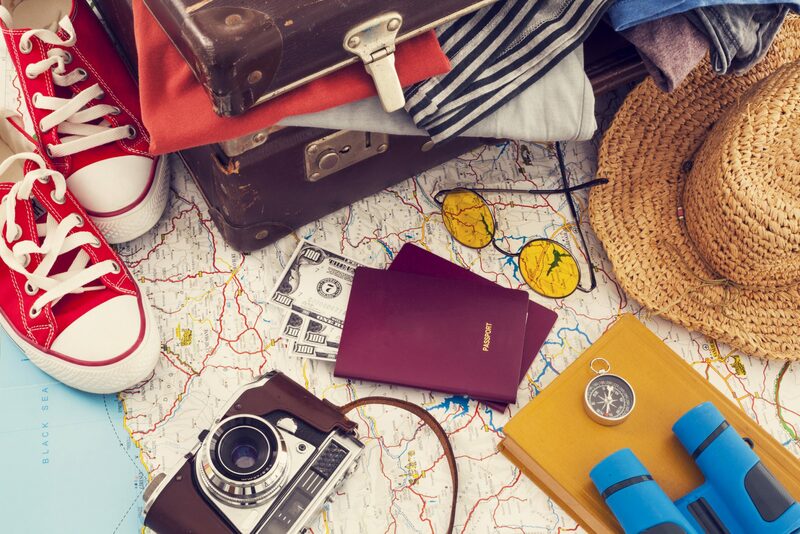 Entertainment options –The airports in Abu Dhabi and Dubai have some of the best international connections and inexpensive flights and this makes Europe, Africa, Southeast Asia, and the rest of the Arab world easily accessible to teachers looking for a bit of adventure. 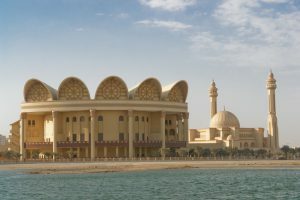 Dhabi, a large and international Gulf city, hosts theater, cinema, fine dining, water sports, and world-class beaches. Because of the large number of expats living and working in the country, it is easy to meet new friends and join in many social activities from sports teams to a lively nightlife: bars, dance clubs, beach clubs and an abundance of restaurants. UEA is considered quite liberal by Middle East standards. Western brands/foods available – There is something for every taste and budget. A meal at a cheap restaurant is about $5-11; mid-range restaurants are closer to $13-24. Alcohol is sold in hotel restaurants, bars, and at liquor stores. A huge number of Western products and brands are available in the many supermarkets and the top-notch malls. Teaching Salaries – Teachers in Qatar can work in some of the top schools in the world while earning a competitive salary ranging from $2,700-3,800 monthly, tax-free. Leadership roles offer a higher salary based on qualifications and experience. Other perks of teaching in Qatar include flight, accommodations, utilities, and health insurance. Some positions also award start-up costs of approximately $1,500 and educational benefits to family members. Personal tutoring after-school or on the weekends can add around 100-350 QAR/hour (range of about $30-90). Job placements depend on your commitment to posting in online forums or finding the right connections once living in Qatar. Cost of Living Expenses – Low-cost of living allows you to live comfortably. Most residents choose to rent or buy a car, or they take taxis as there is a lack of public transportation. Markets: The souqs in the center of Doha also have a lot to offer, although the goods are usually of cheaper quality than those of the malls. Prices are negotiable, so practice your bargaining skills. There are many good tailors in Qatar so you can have clothes made at reasonable prices. All of the malls in the larger cities have a huge variety of stores. There are many cheap take-outs that serve delicious foods: kebabs, breads, and hummus. How much can you save – With a $1,000-2,000 average cost of living/month, teachers can expect to save a great deal of their earned income and/or use it for travel. Entertainment options – There is an active night scene with hotel bars to watch sports or dance in the larger cities. Western brands/foods available – If you would like European cuisine in a fancy setting, visit a hotel like the Ramada or the Marriott, both of which also offer excellent sushi and the choice of having drinks with your meal (the only restaurants in town that can do this are in the major hotels), but at a steep price. You can try a McArabia—McDonald’s Middle Eastern sandwich available only in the region. There is one liquor store, Qatar Distribution Centre, in Doha, with a wide range of alcoholic beverages. To purchase things there, you must have a license that can only be obtained by having a written letter of permission from your employer. The prices are reasonable. Teaching in any number of Middle Eastern countries has many similarities. Generally, the teacher is paid a teaching salary commensurate to teacher pay in the US or Canada. However, the salaries are tax-free while working in the Middle East, which adds a considerable amount of money for savings or for travel. Teachers hired to come to the Middle East and teach are typically given airline tickets and yearly return travel fees, free housing accommodations, health insurance, and sometimes utilities and reimbursement for staff development and financial assistance for dependents’ education. There are often opportunities and increases in pay for leadership advancement, year-end bonuses for completion of contracts, and ample outside tutoring opportunities. Although the entertainment options vary from country to country as some are more liberal and cosmopolitan in nature, there are ample opportunities to engage in social and leisure activities and to meet new friends. Western brands and foods are available, but often at a higher price than you would pay back home. Sampling the native and traditional foods and shops offers you a unique experience to savor a different part of the world without breaking your wallet. *All monetary amounts are quoted in US dollars.